The Congress countered PM Modi saying the premier was making baseless charges to malign the opposition party as he was rattled with its rising popularity in Gujarat. NEW DELHI: The Congress countered PM Modi saying the premier was making baseless charges to malign the opposition party as he was rattled with its rising popularity in Gujarat. “The PM and the BJP are rattled over the increasing public support to the Congress. 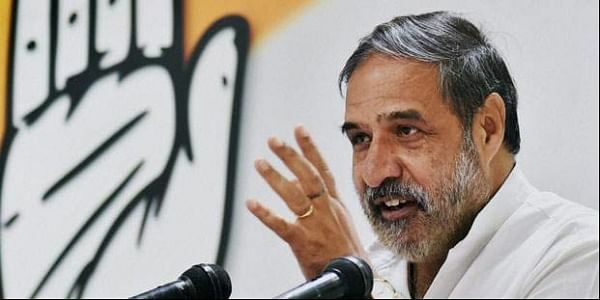 He is trying to mislead the voters with false charges,” Congress spokesperson Anand Sharma said. Defending the country’s first prime minister Jawaharlal Nehru, whom Modi accused of neglecting Gujarat, the Congress leader cited national institutions like Amul milk cooperative, IIM-Ahmedabad, NID and NIFT, ports and airports as symbols of progressive thinking and pointed out that Nehru was behind the creation of Gujarat on May 1, 1960. Rejecting Modi’s charge that the Congress was a dynastic party, Sharma said the last time a member of the Gandhi family headed a top post like that of the prime minister was Rajiv Gandhi in 1985. During the 10 years of UPA, then prime minister Manmohan Singh repeatedly requested Rahul Gandhi to join his cabinet but the leader politely said no, Sharma said. Sharma claimed the PM and his cabinet descending to campaign in the state showed that the government had information from the intelligence agencies that the Congress was moving ahead. “The ministers have no work in Delhi and are being paraded in Gujarat,” said Sharma. He countered finance minister Arun Jaitley’s point that there was nothing wrong in the Rafale deal as it was a contract between the Indian and French governments. “There are proper procedures for defence acquisition. Why did the PM not follow them in this case,” he said.